One of the most consequential service interactions is the in-home visit, vocationally referred to as a service call. During a service call, the technician or contractor is physically present in a customer’s home or business, trying to deliver on company promises and fulfill the service level agreement (SLA). 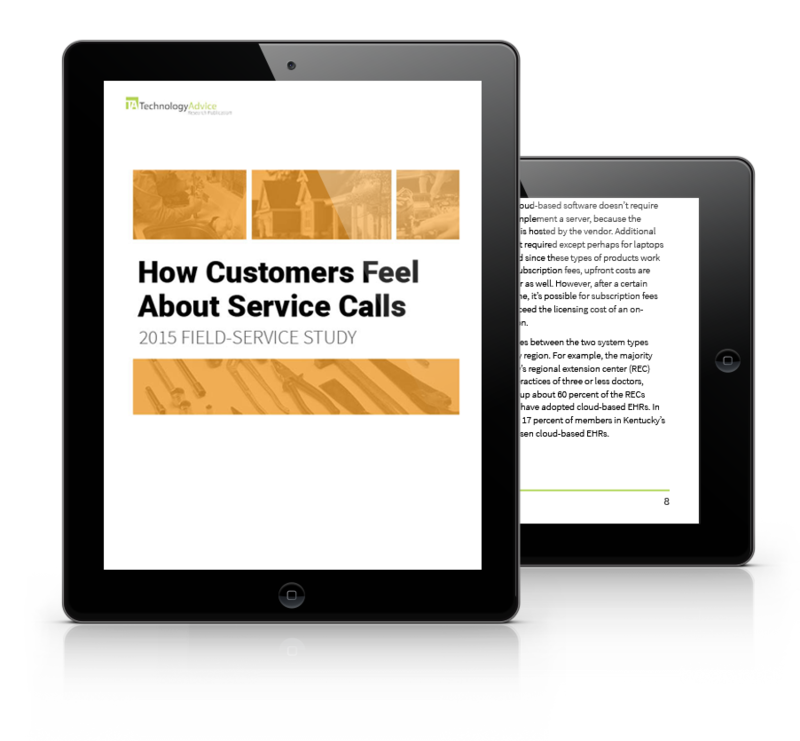 In this study, TechnologyAdvice evaluated the service call from a customer perspective in order to identify current successes, pain points, and areas of opportunity for field service managers. The original data contained in this report comes from a nationwide internet survey of U.S. adults, which was conducted from May 21-23, 2015. The survey was designed by TechnologyAdvice Research, and conducted by Google Consumer Insights. A total of 3,829 U.S. adults (age 18 and over) were surveyed about their recent interactions with field service technicians. The 469 adults who confirmed a visit within the past six months were then surveyed about the details of their experience, as well as the visit’s impact on overall satisfaction. Where necessary, results are weighted to be representative of the U.S. internet population.